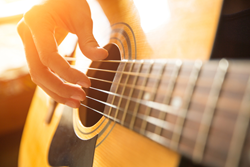 Aspiring musician from Pennsylvania changes his life with the help of Best Drug Rehabilitation’s powerful recovery program. Even as far as Pennsylvania, California, Florida, and every corner of the country, Best Drug Rehabilitation reaches its hand out to welcome anyone who might be struggling to overcome an addiction. Best Drug Rehabilitation, an open-ended, holistic, results-based substance abuse treatment center located in Manistee, MI, sees patients from all over the country, with different backgrounds and cultural identities. Recently, a young musician from Pennsylvania, Cody C., found his way to the recovery facility, seeking help in his struggle with addiction to opiates. The treatment program at Best Drug Rehabilitation has many options that the patients can choose from, with guidance from the professional substance abuse treatment counselors and case managers employed there. The result is a personalized program that addresses the physical and psychological aspects of drug and alcohol abuse and also helps the patient to realize the personal responsibilities that they hold in life and in their recovery. Of all of the options that Cody C. selected, Music Therapy was his favorite, which is understandable since he is already a very talented singer and songwriter. Even as far as Pennsylvania, California, Florida, and every corner of the country, Best Drug Rehabilitation reaches its hand out to welcome anyone who might be struggling to overcome an addiction. The effective program and the caring, compassionate staff at the recovery center make all of the patients there, no matter where they are from, feel as if they have come home.